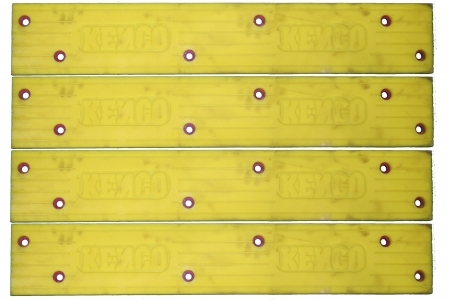 These 6 x 24 elastomeric pads are the approved replacement for visibly worn or damaged pads on the Kenco Barrier Lift. 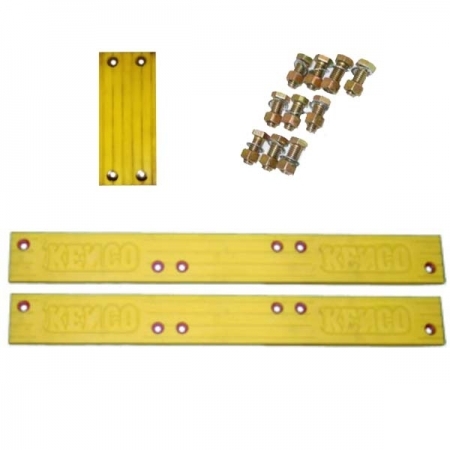 Set of (2) 6″x 24″ replacement pads to fit Kenco Barrier Lifters. 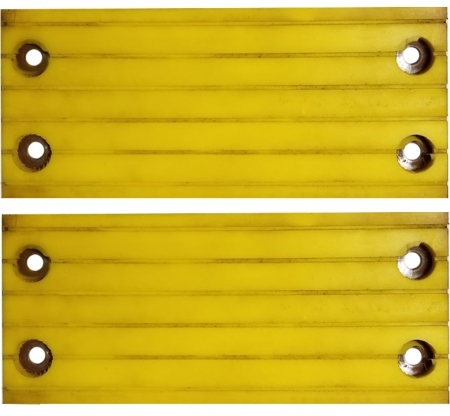 Each pad is molded from an elastomer polymer substance and is adhered to a metal back plate. 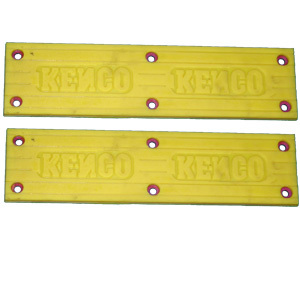 Kenco Barrier Lift pads grip securely on the concrete surfaces, while the urethane prevents damage to the surface. Each pad weighs 14 pounds and is attached to the lifter with (4) 1/2 – 13 X 1 – 1/4 inch bolts, nuts and washers (not included).